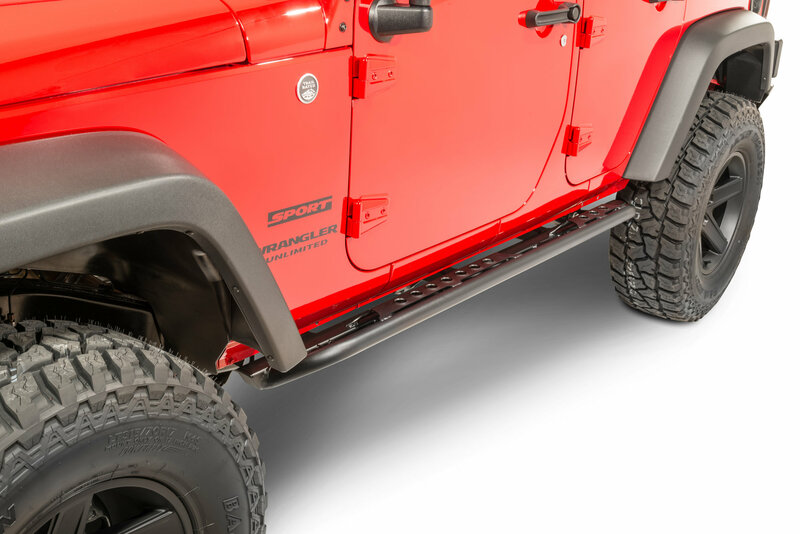 Highly recommended - these rock sliders are fantastic. They're super stout and follow the lines of the body quite well. The installation is time consuming, but that's a good thing. 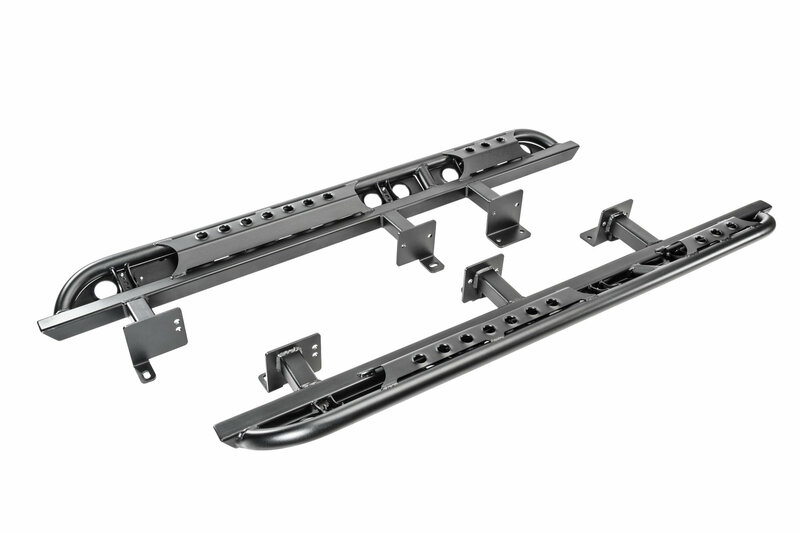 You'll be drilling and tapping 14 new holes into the frame rails of your jeep which provide super sturdy mounting points for the rails. They're strong enough to support the weight of the vehicle. Plus, my kids now have a step to help get into the Jeep. The only suggestion I'd make to LoD is to use grade 8 hardware instead of grade 5, but no matter what they will hold up to serious abuse. As for installation, you will need to purchase a 25/64 drill bit. That's the correct size for a 7/16-20 NF tap. I recommend using a uni-bit to drill out the holes before finishing with the 25/64 bit. Then you can tap the holes for 7/16-20 bolts. 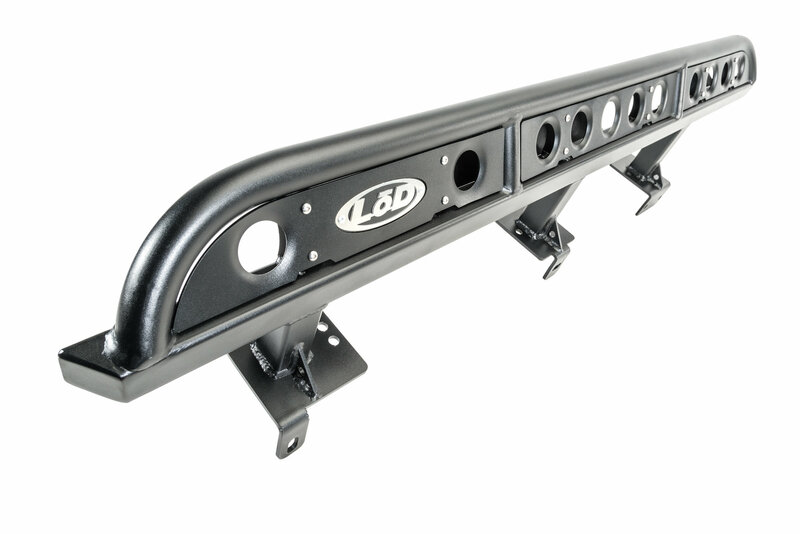 You do need to take your time with the help of jack stands or a friend to line the rails up perfectly before marking the holes. They mounting places have a little wiggle room, but not much. You want to get as close to center as possible. Measure twice, drill once. I also had to remove part of my gas tank skid's ear to make room for the passenger slider's mounting plate, but that's no big deal with a cutoff wheel or dremel tool. All in all, fantastic and wonderfully made. These things are rock solid! They are time consuming during the initial install, but well worth it. Make sure you have a corded heavy-duty drill, find exact drill bit and tap size (I have to go to Fastenal to find the exact tap size), and make sure you have a friend or a floor jack with a 2x4 to hold up the rock rail while you mark the holes to drill. The description says it takes 2-3 hours, but mine took roughly 6 hours with the amount of holes that have to be drilled and threaded into the frame. 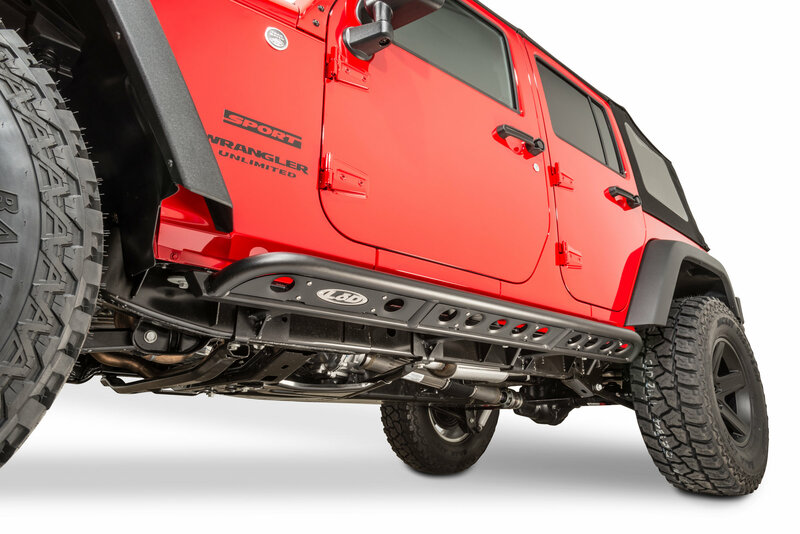 Again, these rock rails are well worth the amount of time and effort that you'll put in during the install. 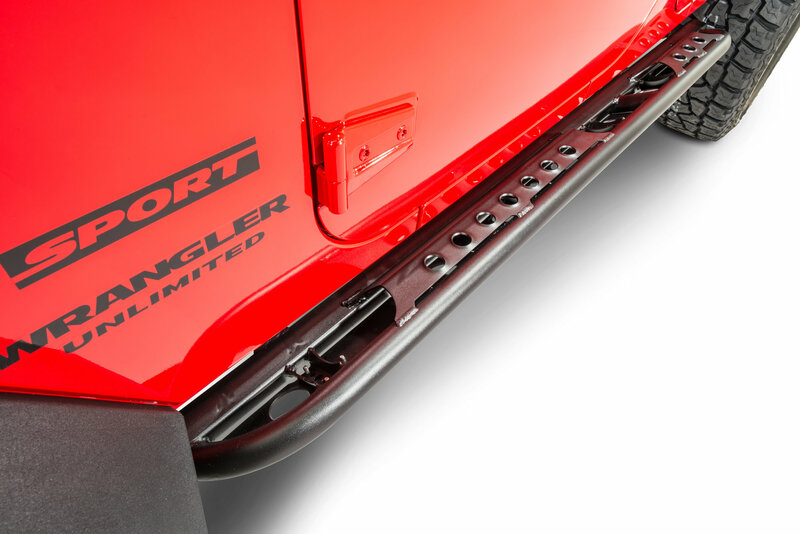 Once they are installed, you could lift the entire Jeep up by these. They do not budge, regardless of what you hit, or who stands/climbs on them. Highly recommend these if you plan to wheel around rocks.